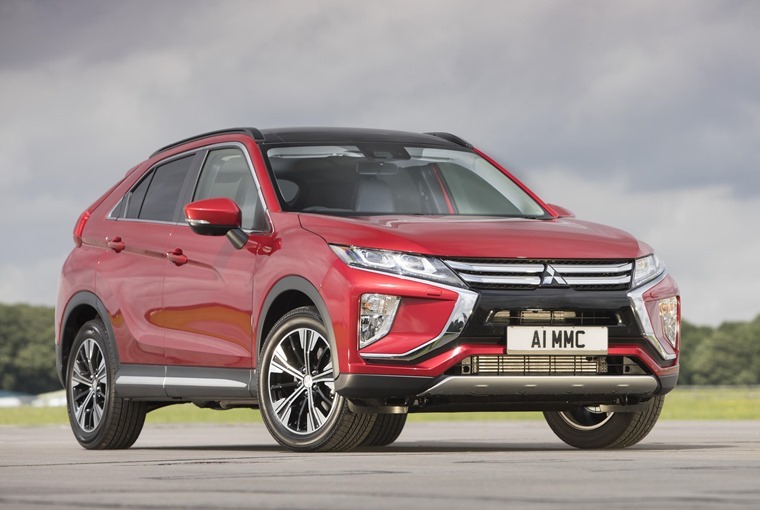 The Mitsubishi Eclipse Cross has officially arrived in the UK, and is now available to lease from less than £200 per month. The first customers are expected to take delivery by the end of the month. Aiming to offer something a little bit different, the new crossover is set to rival the Nissan Qashqai and Kia Sportage in what has become one of the most crowded market segments the automotive world has witnessed. 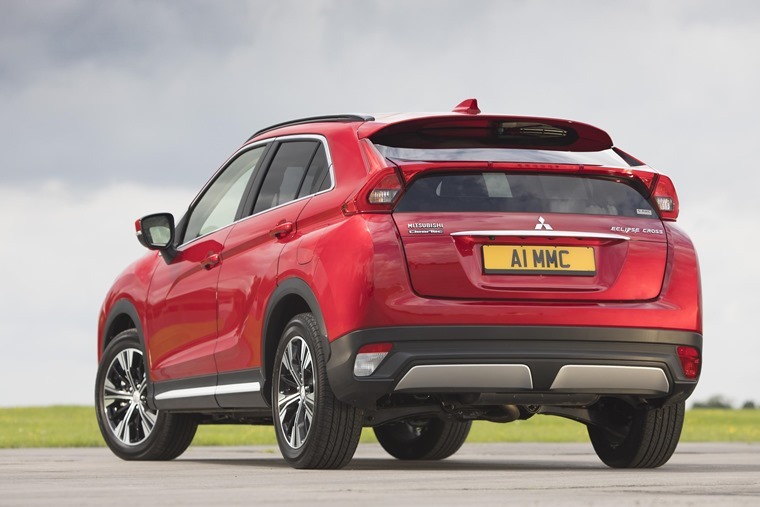 Sitting between the compact ASX and larger Outlander, the Eclipse Cross gets styling cues from both, although a sharp, angular look at the front and a swooping roofline mark it out from its stablemates. 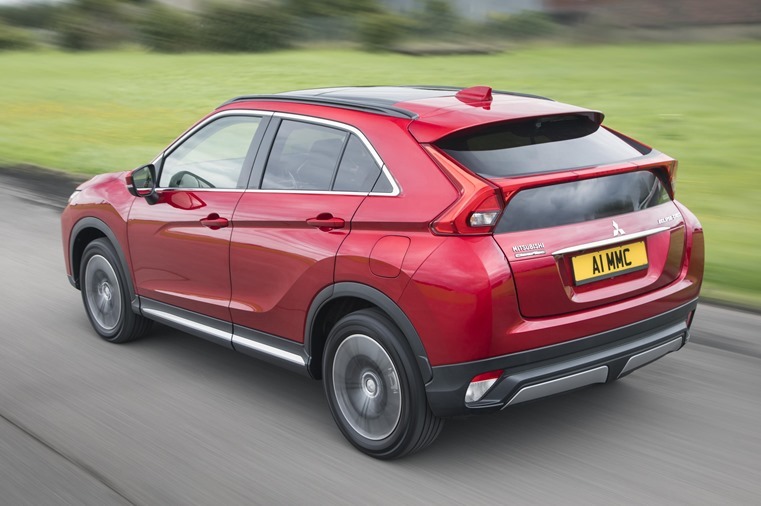 Developed with a focus on three core areas – inspiring design, driving dynamics and advanced technology - Mitsubishi’s new mid-sized SUV will be available in three trim levels – Eclipse Cross 2, Eclipse Cross 3 and Eclipse Cross 4. At launch, all versions will be powered by an all-new 1.5-litre turbocharged petrol engine developing 161bhp and 250Nm of torque. A 148bhp diesel option is also expected to be offered, but exact specifications are to be confirmed. This will be available with a six-speed manual or advanced new automatic transmission with Sport mode, manual override and paddle shifters, depending on the model. 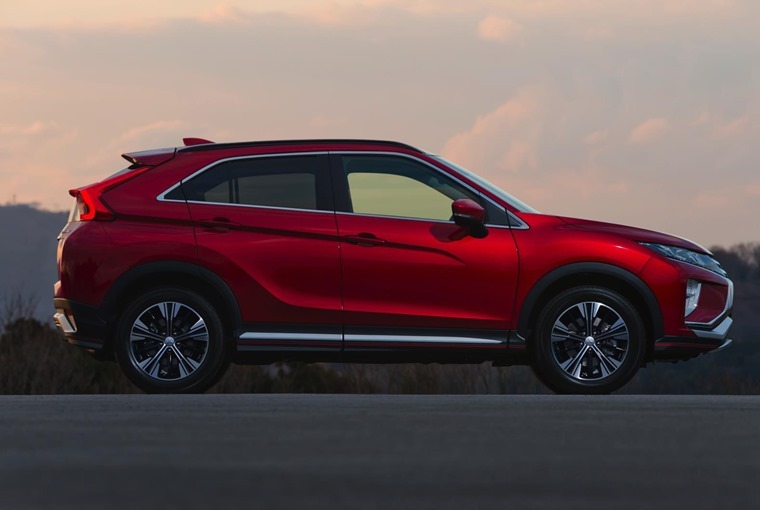 The Mitsubishi Eclipse Cross will also be available with two- or four-wheel drive, the latter incorporating the latest generation of Mitsubishi’s Super All-wheel Control (S-AWC) system that offers a choice of three advanced drive modes – Auto, Snow and Gravel. The cockpit-style driving environment in the Eclipse Cross reinforces its focus on driving pleasure and the spaciousness of the cabin is further enhanced by slide-and-recline adjustment for the 60:40 split rear seat on all models. To optimise loading comfort and facilitate loads of various sizes and shapes, the rear seat back has eight different recline settings and the base has up to 200mm of travel. The Eclipse Cross is extremely well specified, with even the entry-level 2 version offering features such as a touch-pad controller, Smartphone Display Audio, rear view camera, DAB radio with six speakers, cruise control, climate control air conditioning, LED Daytime Running Lights, Bluetooth connectivity, 16-inch alloy wheels, privacy glass and heated door mirrors. The Eclipse Cross 3 builds on the specification of the 2 versions by adding 18-inch alloy wheels, a head-up display, heated front seats, front and rear parking sensors, dual-zone climate control, keyless entry and keyless start. 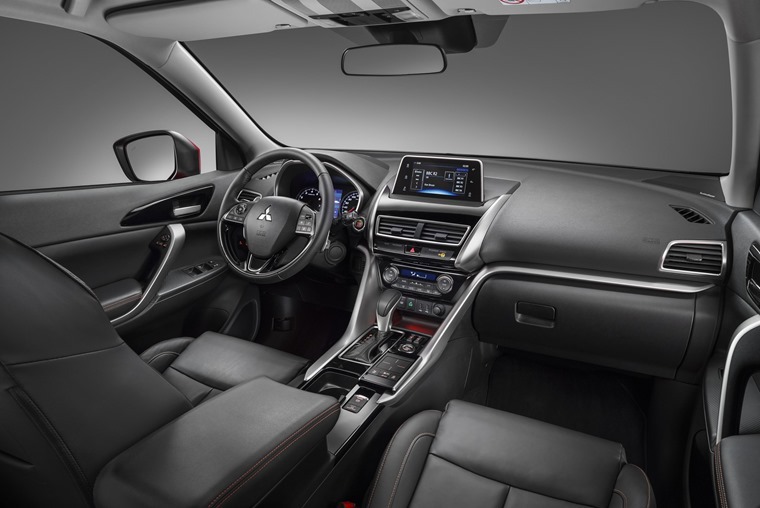 Completing the line-up, the flagship Eclipse Cross 4 version adds leather trim, electrically-adjustable driver’s seat, electric opening panoramic roof, and a suite of advanced driver assistance systems. 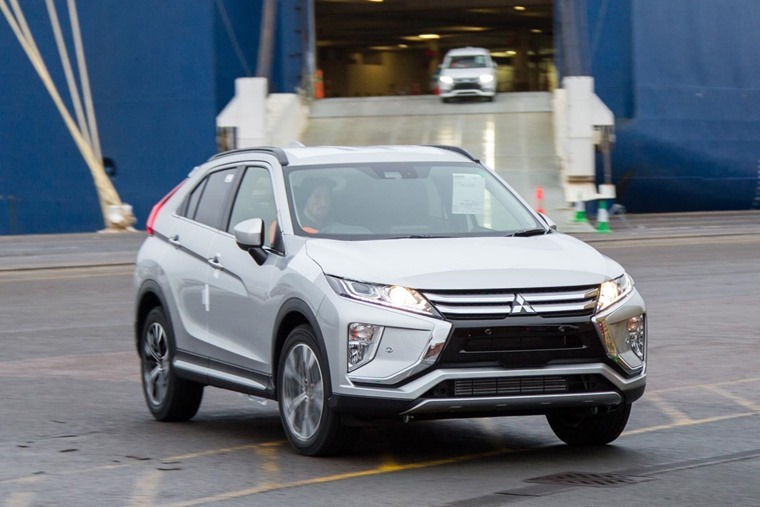 With the first customer deliveries expected to begin later this month, you can check out Eclipse Cross lease deals right now by clicking here.